CE Approved Guards Motorcycle Trouser Armour (Hip and Knee) Biker Motocross Pad. These protective inserts fit in to the armour pockets fitted inside nearly all motorcycle Trousers. • Knee 10". CE certified lightweight and comfortable body protectors. 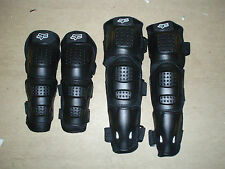 BODY ARMOUR, MOTOCROSS, ATV, OFF ROAD, PROTECTION, PIT BIKE, DIRT BIKE. Knees and shin area Padded for extra comfort. Knee and Shin Guards. FOR MOTORCYCLES, MOTOCROSS SNOWBOARDS, HORSE RIDING, Skating and anything else where your knee is at risk. MCW Gear Pro Knee Guard is the next evolution in comfortable, ergonomic knee protection. 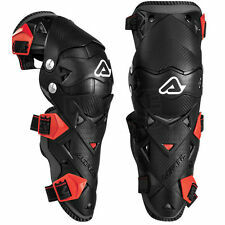 2016 Acerbis Impact Evo3.0 Knee Guards- Acerbis Motocross Enduro Body Protection. AIR VENTS TO INCREASE VENTILATION OF BOTH KNEE AND SHINBONE. DETAILS INCLUDE. KNEE, TIBIA AND FEMUR PROTECTION IN THE FORM OF PLASTIC AND EVA PADDING WHERE IT MATTERS. CE Approved Guards Motorcycle Jacket Armour (Shoulder Elbow Back) Biker Motocross Pad. CE certified lightweight and comfortable body protectors. Rst / Oxford Level-2 Hip Protectors / Pads. CE Level 2 Approved Hip Protectors for Motorcycle kevlar jeans, leggings, trousers. HIP PROTECTORS. The RST range of motorcycle body armour is technologically advanced in comfort, flexibility and protection - approved by CE to reach level 2 safety standards. 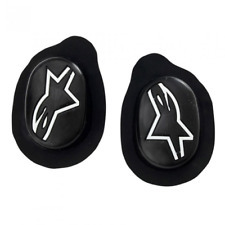 Rst Level-2 Hip Protectors / Pads a pair. FORD RANGER T6 2012 ON REAR TAIL GATE TRIM - PROTECTION - BLACK. Compatible with the FORD RANGER T6 MODEL (2012 ON). Easy mount straight onto the existing lights on your vehicle and are fitted by hand no tool required. Dainese Hard Short L. RRP: £61.27. Soft inserts on the sides and buttocks. Polypropylene and polyethylene sandwich plate on the coccyx. Perforated plates in polypropylene coupled with Crash Absorb on the thigh. The shirt has a sweeping side zip to allow for the large one-piece chest protector which gives improved rib and sternum protection. · Comfortable even in the most strenuous conditions. Hard wearing outer plastic mold shell. 100% Support! Troy Lee Designs 7855 Body Armour - size Small. Dispatched with Royal Mail 2nd Class. There is nothing more important than your body protection when riding motorbike, bicycle or skateboard. You may be 100% sure in your next step and believe in your abilities but there is still a tiny chance that things can go wrong. Whether you’re a long time motorcyclist or newer to the scene, investing in motorcycle body armour and protectors above and beyond the standard protection included in your clothing will keep you safe and protected. The collection here on eBay is extensive and contains new and second hand armour that is designed to protect almost all areas of the body, as well as representing products from a wide range of brands and manufacturers. When it comes to buying new motorcycle body armour and protectors, some of the most important and popular items are elbow and knee protectors. Whilst some jackets, trousers and all in one suits will have these built in, you may feel you would benefit from extra coverage. They will usually come in either hard shell or soft shell varieties and are soft, light and comfortable so they can easily be worn all day. Some motorcyclists prefer to invest in armour that offers more protection to the torso, especially as this is where some of the most serious damage can be picked up should an accident occur, particularly around the back and spine. Opt for armour that is lightweight but still gives maximum coverage and comfort and can easily fit under clothing. 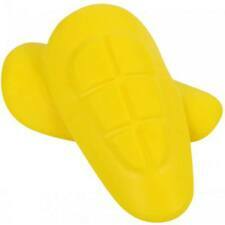 Most of the body armour and protectors in the range are either injection moulded, EVA or features double density foam. Injection moulding is preferred by some as it is lightweight with a good level of protection. Armour and protection with injection moulding is specially designed so it fits comfortably under clothing. For those looking for the ultimate in comfort and flexibility as well as safety, perhaps consider choosing EVA armour, as this also benefits from great durability and offers plenty of protection. Foam options are the lightest and most cost effective, as well as being widely available in a range of styles.